As a young girl, Deb Chapman frequented Don’s Dairy, formerly located at the northeast corner of 5th Avenue and Main Street in Clarion. She was intrigued by the business, the workers, the food they served. Her opportunity came about a number of years later. First, she discovered Perry’s Ice Cream at a little shop near Bradford. 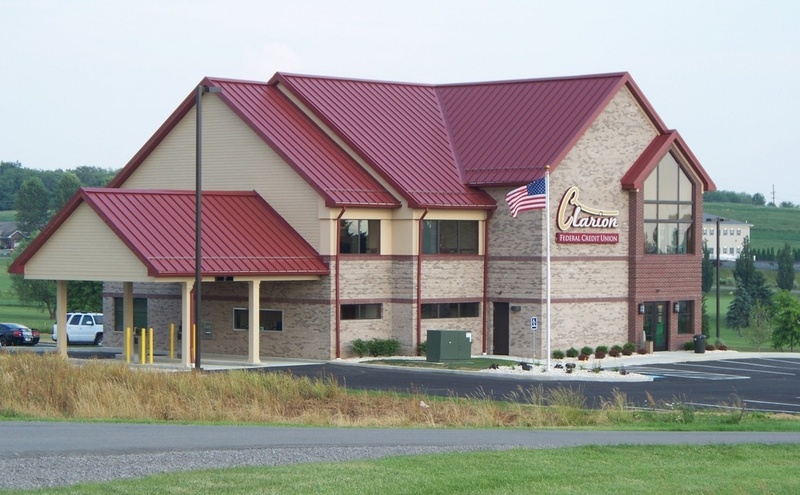 It prompted her to attempt to bring Perry’s to the Clarion area. “So, we decided to build an ice cream shop,” she said. On April 15, 1989, she opened Debbie’s Super Cone along U.S. 322 in Strattanville. She started small, with just the ice cream stand, serving soft serve, burgers, and hot dogs, but by her second year, it was already time to expand. The full dining room and kitchen opened on the opening day of buck season in 1990. Since then, the business hasn’t changed much. According to Deb, the menu has remained mostly the same, with just a few additions. Deb noted she has no plans to make any major changes in the future, either. While many of their regular menu items are popular, Deb says the hand-dipped Perry’s Ice Cream is still their top item, followed by their Thursday spaghetti special and their Friday fish special. After 30 years in the business, Deb not only knows her customers’ tastes, she also appreciates that so many of them keep coming back for more. “I would just like to thank all of my customers over the years. A lot of the regular ones come in every day or even twice a day, and there are some that come in every Thursday for spaghetti. Deb’s Diner is currently open Monday through Saturday 6:00 a.m. to 6:45 p.m. and Sunday 8:00 a.m. to 1:45 p.m., but on April 28 they will switch to their summer hours and open at 7:00 a.m. on Sunday. 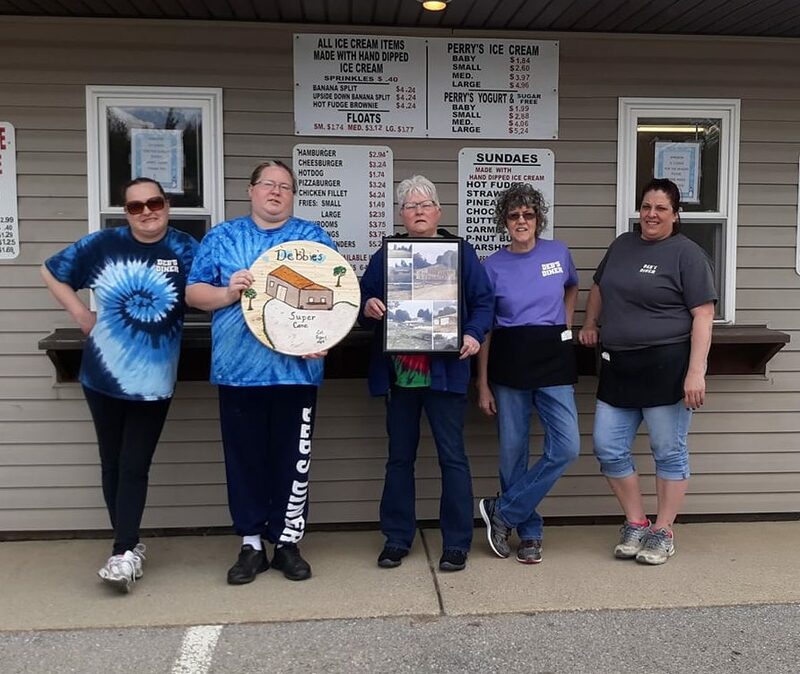 While the hand dipped Perry’s Ice Cream is available inside the restaurant year round, for those who love window service, the window at Deb’s will be open around the weekend of May 5 this year.